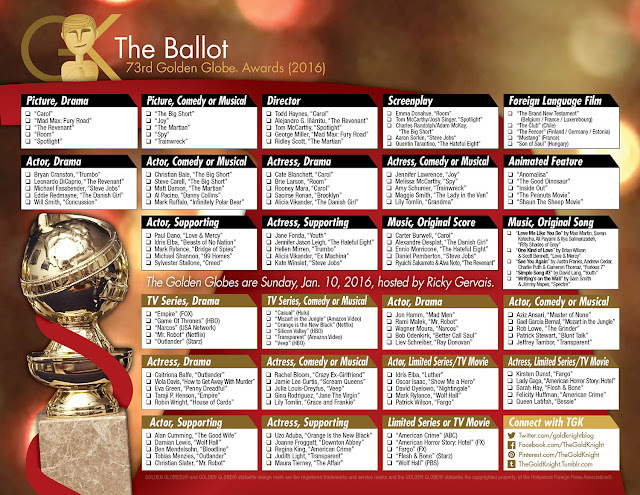 The Gold Knight team has compiled the nominees for the 73rd Golden Globe Awards. Find all of them here in our handy Golden Globes Ballot. Feel free to download the ballot, print it out and pass out at your workplace or during your party. It's in glorious color. 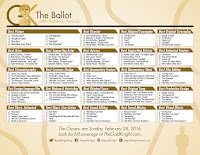 The Gold Knight team has compiled the nominees for the 73rd Golden Globe Awards. Find all of them here in our handy Golden Globes Ballot. Feel free to download the ballot, print it out and pass out at your workplace or during your party (go here to download the PDF). It's in glorious color. 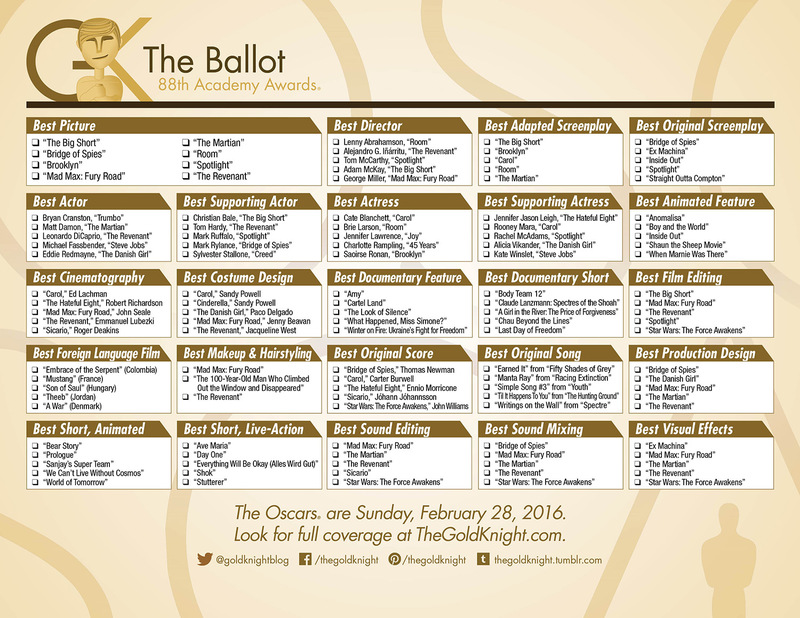 Find the full list of nominations here. The Golden Globe Awards air LIVE coast-to-coast on Sunday, Jan. 10, 2016, on NBC from 8-11 p.m. ET / 5-8 p.m. PT from the International Ballroom of the Beverly Hilton Hotel in Beverly Hills, Calif. Ricky Gervais returns as host. Stay with The Gold Knight Blog for full coverage.